Europa, every time I come across that word- beauty, elegance, sophistication, fashion, culture, classical music, high-cost, history, art, food, convenience- those words come to my mind. 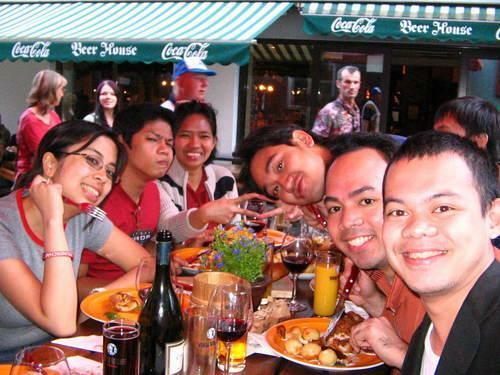 So when the San Beda College Chorale were looking for a male singer to join them in their European choral competition, festivals, and tour in 2005, I didn't hesitate to join even if it means sacrificing my studies. As a result, I became richer, not in material things, but in experiences and knowledge. It was through the leadership of the world-renowned choral arranger/composer and one of the best choral conductors/choirmasters in the Philippines, Robert Delgado, that made the tour possible. I didn't spend a single cent for that tour because the choir borne all the expenses. So, a European Tour for free. I thank God for giving me that blessing and sir Robert Delgado as His instrument in imparting that blessing. I will talk more about that in other post. So I was able to tour Europe in 2005 and 2006. Europe is indeed a very very very beautiful continent. And as usual, we have our favorites. Here are my favorite cities in Europe. I first came here in June 2005. I immediately fell in love with the place. The cleanliness, the food, and the people. It is a port city. So you can always relax by the bay. Many cruise ships dock in this city. In the afternoon, people go to cafes and unwind. It was a wonderful experience being in this city. You can just walk around and feel comfortable even if you're new to the place. The beauty of the place really captured my heart. What I like most about this city is the relaxing atmosphere and richness in infrastructure. 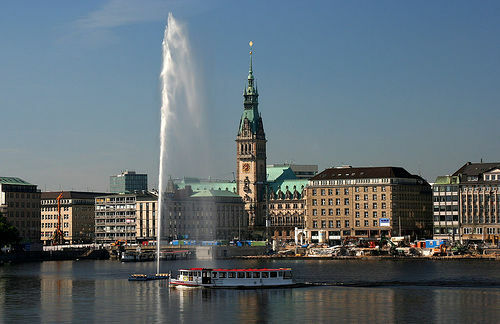 Hamburg is considered the base city of San Beda College Chorale in Europe. Our hosts families are so kind here. Tito Jun and the rest of the Filipinos, Danke Schoen. Basically a walking city. It means you can walk your way around this city. 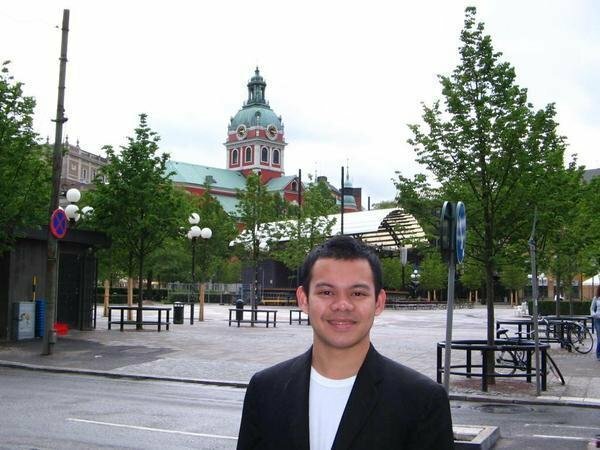 When we visited this city, we stayed in the house of the Ambassador of the Philippines to Sweden, Ma. Victoria Bataclan. She was so kind and hospitable as she toured us around the city. Lots of shopping malls abound. The fashion in this city is so amazing. I saw Swedes walking around in their fashionable clothes. A very nice city to relax. 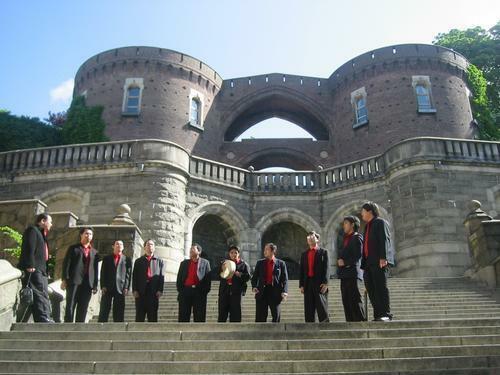 San Beda College Chorale's 2nd home base (after Hamburg). I really feel at home in this city. We first came here in 2005. At first I was really shocked when I arrived in this city because of its small population and very cold temperature. It took us an overnight train trip from Oslo just to get here. Some of my companions even joke that this city is only a few kilometers from the north pole as it was quite boring. 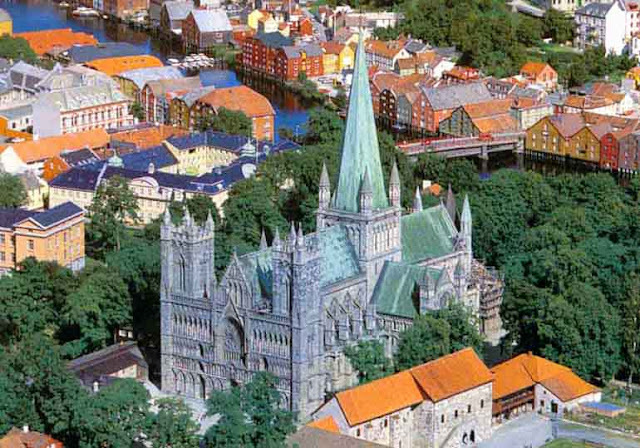 But in the long run, we adjusted, and until now Trondheim stays in my heart. Here was where I first experience seeing the sun at 10pm. You can walk at 12am midnight without being worried about thieves as the crime rate is almost zero. The air here is the cleanest in the world. One more thing that made me love this city is because of my kind host, the Waernes family, Tita Elmie and Tito Stig. They accomodated me in 2005 and 2006. Tusen Takk Tito and Tita. Mcdonalds in Helsinki with our hostess's daughter, Johanna, 11 years old at this time. Their tables has Nokia phones that has lots of games. The land of Nokia. 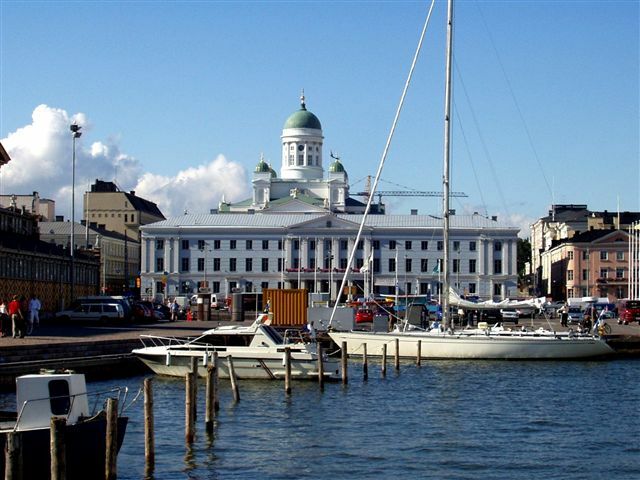 Friendly Finns, laid-back environment, preserved nature, clean lakes, beautiful beaches. I love Helsinki. I stepped here in 2005. We came from Sweden via ferry, as it is a port city. I had the chance of swimming in one of the beaches here, and it was so freezing cold! Beautiful boats can be seen. Almost every house here has a sauna. I was also able to visit the monument of the great Finnish composes, Jean Sibelius when I was here. Cycling is one of the best activities here because the nature is so fantastic. The lakes are so relaxing, and the population is low. I had to chance to cycle around using my host's mountain bike. I enjoyed every minute of it. You can see squirrels and rabbits playing around. I enjoyed my stay in Helsinki. Kitos Tita Linda and Johanna for touring us around and letting us have a wonderful time in your place. Gorging on street foods in Tallinn. European food at its best. Who among you have heard this city before? I've haven't heard about this before we came here. It's the capital city of Estonia. A former part of Soviet Union. It has an Easter European atmosphere. They were a communist country. When some of the locals saw us while walking in the street, some of them were amazed and they took photos with us and even hugged one of our member. It is because it is rare for them to see brown-skinned Southeast Asians in person. 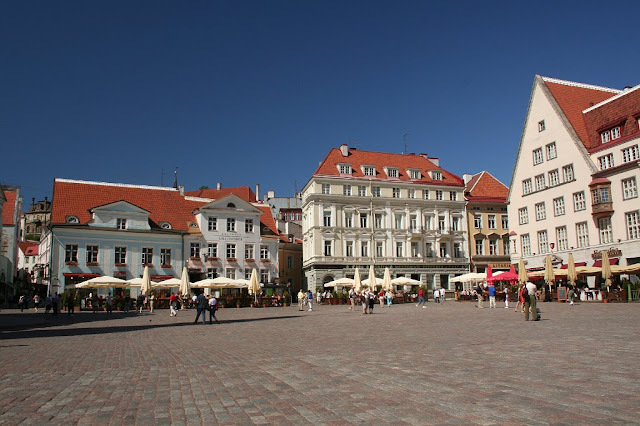 We stayed in a 4-star hotel during our time here courtesy of the Phlippine and Estonian government, because we were the one who sang during their signing, making us the first Filipino choir to sing in Estonia. Boating, eating at cafes, singing inside a Gothic church, seeing the European Union head office. These were the things that highlighted our visit to Strasbourg. A French city located near the border between France and Germany. The atmosphere in this city is so European. The architectures, the food, the vibe. You can witness many activities in the streets. If you visit the city, make sure you try the boat ride as it was one of my best times in Europe. 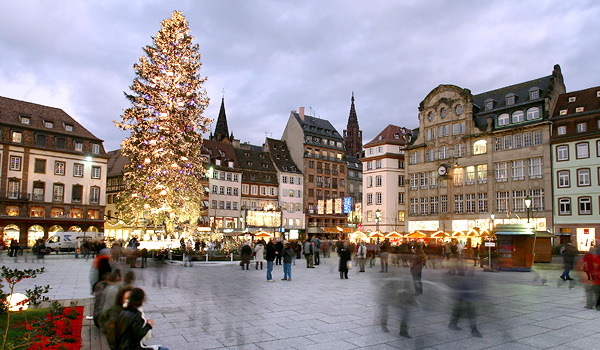 You'll be able yo see the beauty of Strasbourg on a boat as a river runs through the city. Merci Father Lois for taking us to this beautiful city. I was just seeing this on TV, on magazines, and history books before. Never did I expect that I will be able to go here. But lo and behold, in 2005, I was able to touch the Berlin wall, saw the concentration camps, and rode her city trains and subways alone. This city, the capital city, is a busy city. It's so historical. 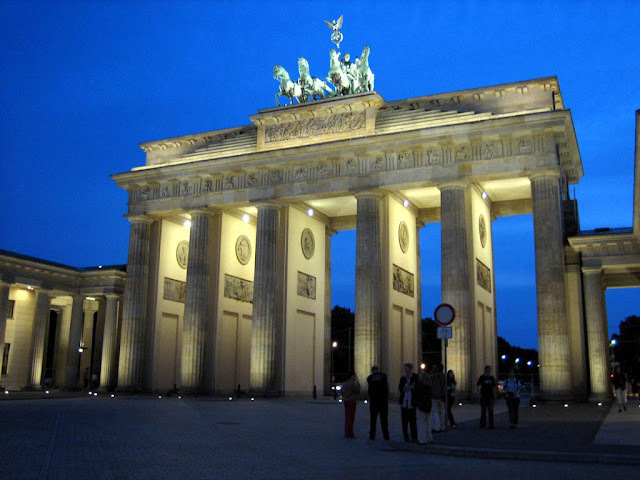 The Bradenburg gate, the Angel of Berlin, the wall, these are just some of the landmarks that you don't want to miss when you visit this city. I really enjoyed my stay here. We even went fishing in the river of the city as my host family's hobby is fishing. 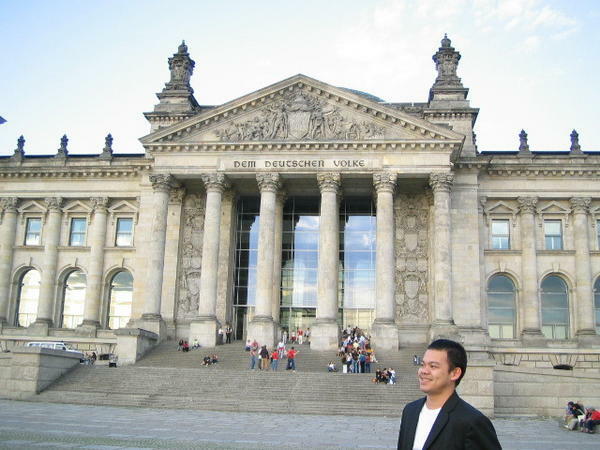 Danke Schoen Tito Dodong, my host in Berlin. 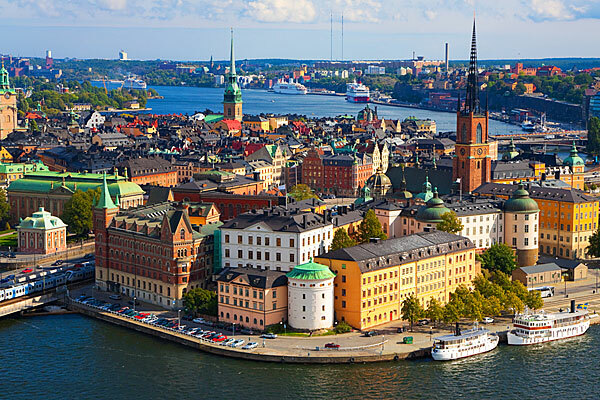 A laid-back city in Sweden, it is located near the bay. 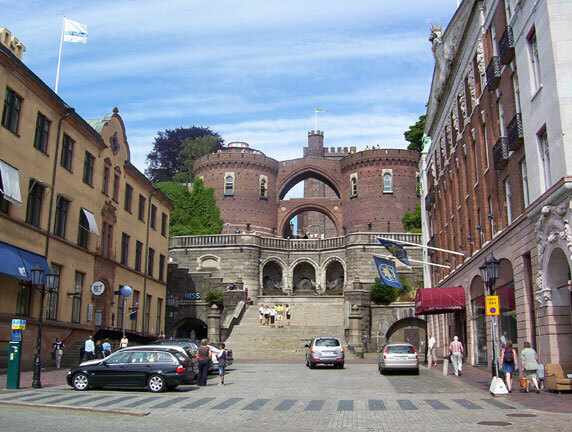 Old castles can be found in this city. I love the laid-back attitude of this city. You can just relax in the park and watch the sunset. Tusen tack Tito Ed for accomodating us. Full of historical infrastructures, a perfect place for taking photos. A laid-back city too. 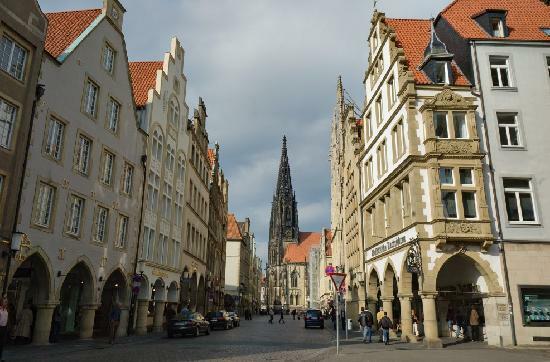 We visited this city in June 2006, during the FIFA World Cup in Germany. Our hosts, Tita Cristy and Tita Norma together with here daughter Marie, toured us around on her BMW. We loved the ice cream in this city. Danke Schoen mga Tita. 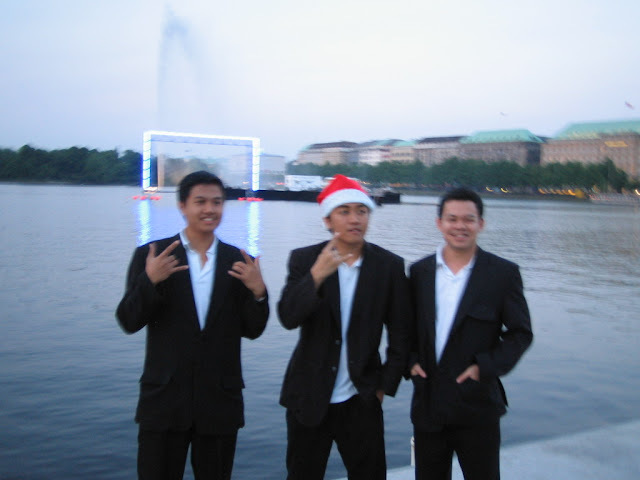 A pose in one of the areas in the city. It's so Spanish. Viva Espana! 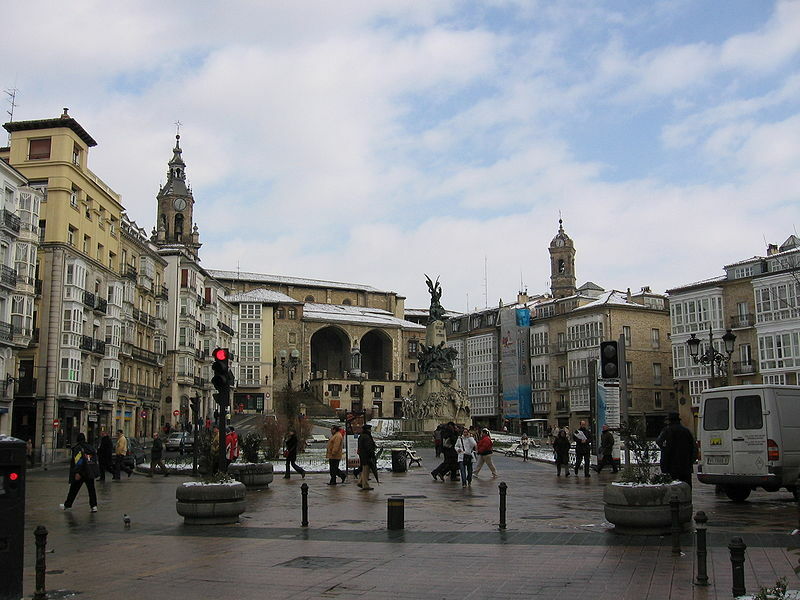 Located in the province of Alava, this city allows you to enjoy churches and Spanish foods. We came here to attend a choral festival so we stayed in a place where every choir who participated in the festival stayed. It is a dormitory in a school. We liked the atmosphere as we were able to meet lots of people of different nationalities from other choirs all over the world. Concert festival events happened in the evening so during daytime, we were free to roam around the city. We enjoyed the food, the people, churches and the Spanish language in this place. Gracias Senor Cameno, the organizer of the festival. Europe is really the best place I have been here on earth. Vast green grass, colorful tulips, fresh air, clean surroundings, rich culture, excellent music and arts, very historical, amazing infrastructures, convenient travel and accommodation, delicious foods, and great people. So visit Europe if you have the chance. A thousand thanks again to the Lord God almighty for these blessings, sir Robert Delgado for his kind heart, my co members of the chorale for the great company, our host families for their hospitality, our audiences for enjoying and appreciating our music. Maraming salamat po. You can also checkout my top 10 favorite cities in Asia. The allegations will also be being investigated from the SEC along with the Justice Department payday uk minorities also were steered to more expensive subprime loans despite the fact that they were qualified for traditional mortgage rates. I read this paragraph completely about the comparison of hottest and earlier technologies, it's remarkable article. shoot you an e-mail. I've got some creative ideas for your blog you might be interested in hearing. Either way, great blog and I look forward to seeing it develop over time. Every weekend i used to go to see this site, as i want enjoyment, since this this site conations in fact good funny material too. Europe is beautiful destination,i want to visit this place at least time but seriously have not much knowledge about this place..I would like to thanks for this kind of lovely sharing..Thanks for this amazing post..!!! You're welcome. It is my pleasure to share to other people the beautiful scenery and wonderful experiences of my travel. You should really visit Europe. It's awesome. Regin thanks for sharing this post with us. Very informative post. I loved Europe, especially Spain. Spain is the very beautiful place. Next time I definitely go to Spain.